SGHS senior Rachal Colburn (6) attempts a dig during the Lady Rebels’ Tri Valley Conference Hocking Division contest against Wateford on Tuesday night in Gallia County. MERCERVILLE, Ohio — A tough night for the Lady Rebels. 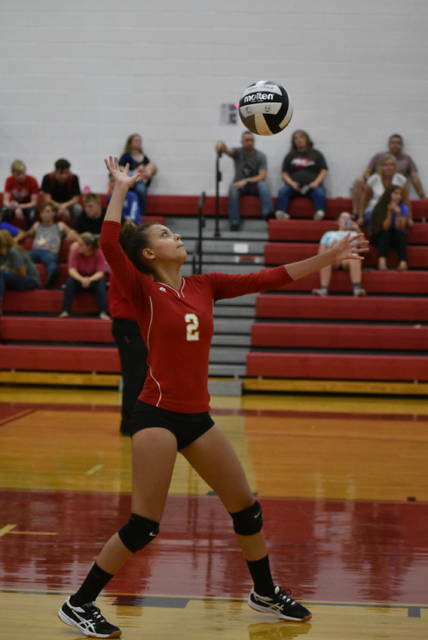 The South Gallia volleyball team suffered a three games to none setback to Tri-Valley Conference Hocking Division foe Waterford on Tuesday night in Gallia County. In the opening game, the Red and Gold (1-3, 0-1 TVC Hocking) and Lady Wildcats (2-3, 0-1) were knotted at 3-all before a 12-0 run by the visitors widened the margin. Waterford closed out the first game 10-5 run en route to a 25-8 victory. The second game was tightly contested as South Gallia trailed 6-3 early in the contest, but the Green and White manufactured a 9-0 scoring run to build a 15-3 advantage. From there, the Lady Wildcats outscored the Lady Rebels 10-7 to earn a 25-11 victory. Following a 1-all tie in the third game, Waterford never surrendered the lead again and rolled to a 25-11 win while earning a 3-0 match victory. The Lady Rebels service attack was led by senior Rachal Colburn with four points, while Christine Griffith followed with three. Amaya Howell posted one point to round out the SGHS service attack. The Lady Wildcats service attack was led by Allex Teters with 25 points, followed by Lily Roberts with nine points. Cara Taylor provided seven service points, while Haley Klintworth was next with four. Beth Dawson followed with three points, as Olivia McCutcheon concluded the service attack for Waterford with two. The two teams are scheduled to meet on again on Sep. 24 in Waterford. 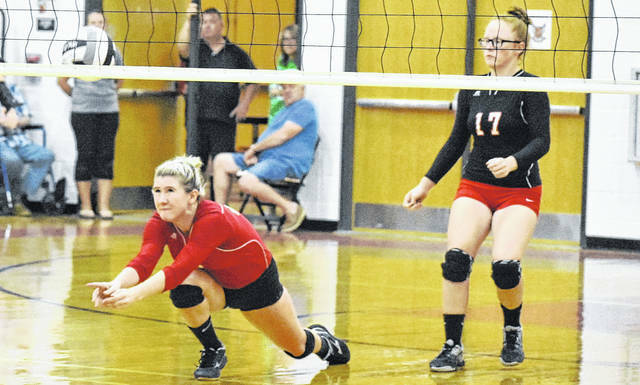 The Lady Rebels returned to action on Wednesday as they hosted Symmes Valley.